PCD is how 'spaced' out the bolt holes are that bolt the wheel onto the hub of your Berlingo. Offset, which can be adjusted with spacers, is pretty much how far in or out the wheel is away from the car. And the Bore is the size of the center hole of the hub, which the alloy will slide onto. So im sure you will get plenty of suggestions in the thread, but as a rule of thumb, similar makes of car like the C2, C3, Saxo, Pug 206, and so on also should have the potential to fit. As for a place, try fleaBay, i've got hold of decent sets of alloys for £50-£100, so no need to break the bank. I'll keep a look out. 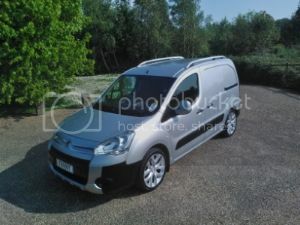 these alloys fit on berlingo and are easy to find and very cheap http://www.ebay.co.uk/itm/PEUGEOT-ALLOY-...2316072193 http://www.ebay.co.uk/itm/Peugeot-15-all...1c20b0d45b only thing you will need the right alloy wheel nuts http://www.ebay.co.uk/itm/PEUGEOT-ALLOY-...415cc77d12 , i managed to bag a set for £40 with tyres and wheel nuts. The saxo alloys look too small in the arches for me, but there's plenty to be had on ebay for not a lot of money. If so, they are quite smart, just maybe a bit small.